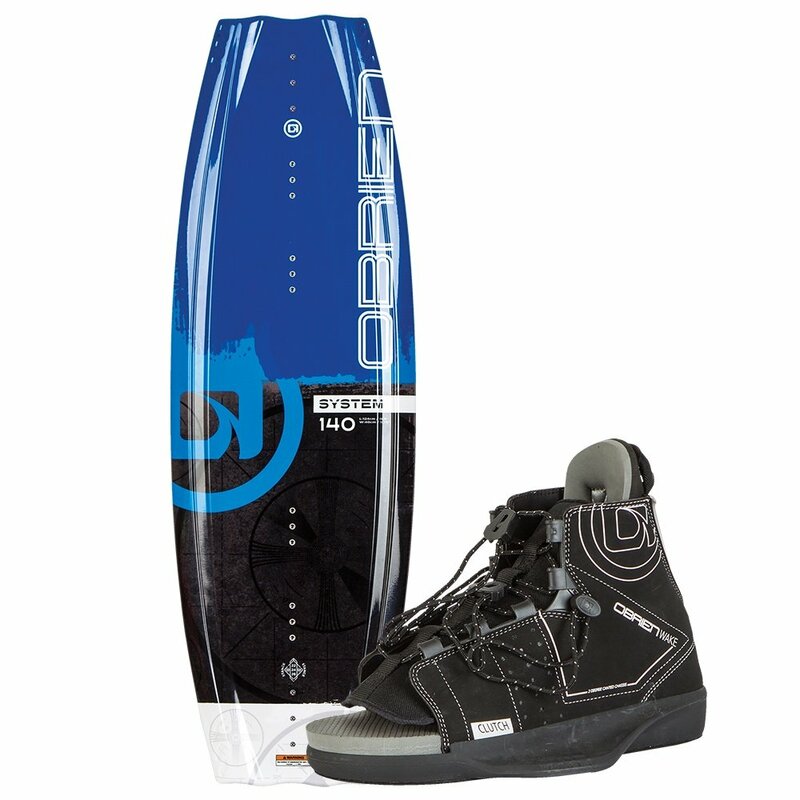 Whether you're trying wakeboarding for the first time, or just need a reliable ride for guests, the O'Brien System 140 Wakeboard Package gives you everything you need to make sure there's fun on the water. It has a Continuous Rocker shape, which gives it stable performance when you're standing up and reduces drag for smoother starts, and the lightweight foam core makes it easy to move the board on or off the water. Packaged with Clutch Boots that feature 2° of cant that puts your legs in better alignment for more natural power transfers.